Lumina is the title for the new paintings exhibition featuring New York artist Tobi Kahn at The Museum of Biblical Art in Dallas, TX. Kahn is a painter and sculptor whose work has been shown in over 40 solo exhibitions and over 60 museum and groups shows. He was selected as one of nine artists to be included in the 1985 Guggenheim Museum exhibition, New Horizons in American Art. In cooperation with Jewish Theological Seminary in New York, Dr. Tobi Kahn created original paintings based upon illuminated manuscripts chosen by the archivist at the seminary. An audio tour has been created where the artist explains his art work and process. 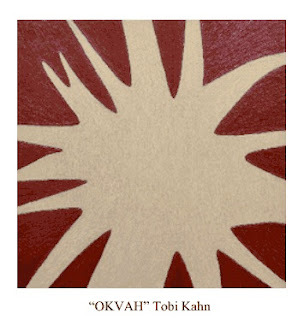 “Artist Tobi Kahn has created a series of abstract paintings in response to some of the greatest ancient Jewish illuminated manuscripts. Illumination means source of light. 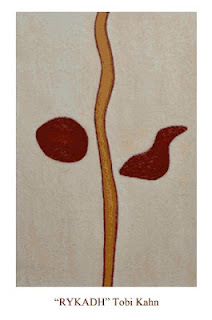 These paintings express spiritual and intellectual enlightenment.” states Museum Curator Scott Peck.